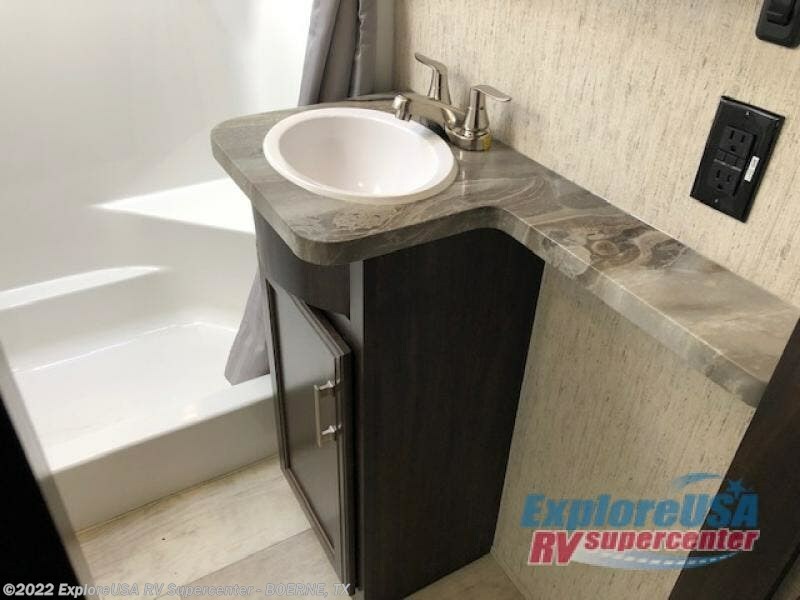 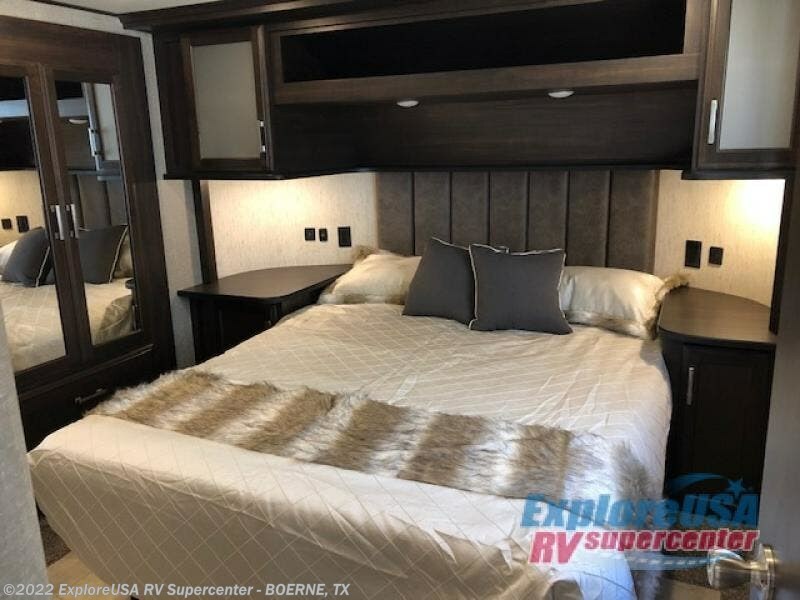 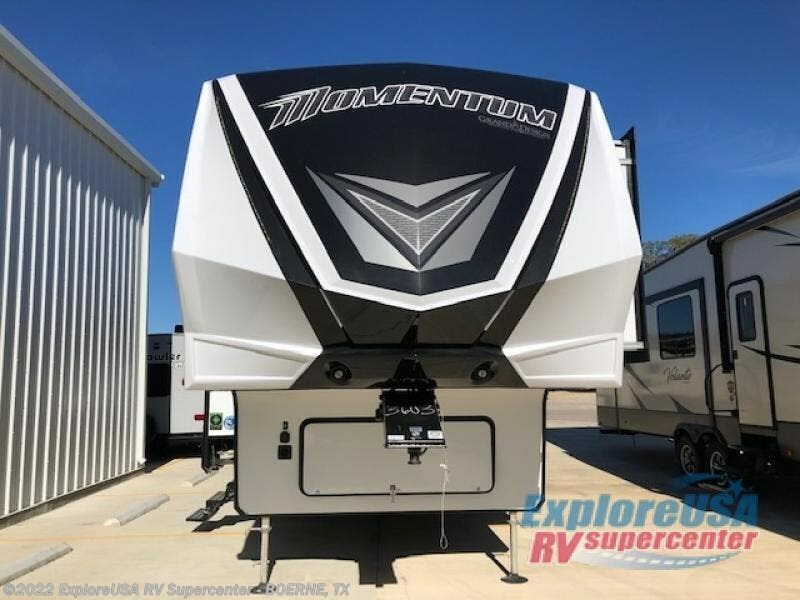 It's time to load up and head out to your favorite off-road RV park for fun and excitement! 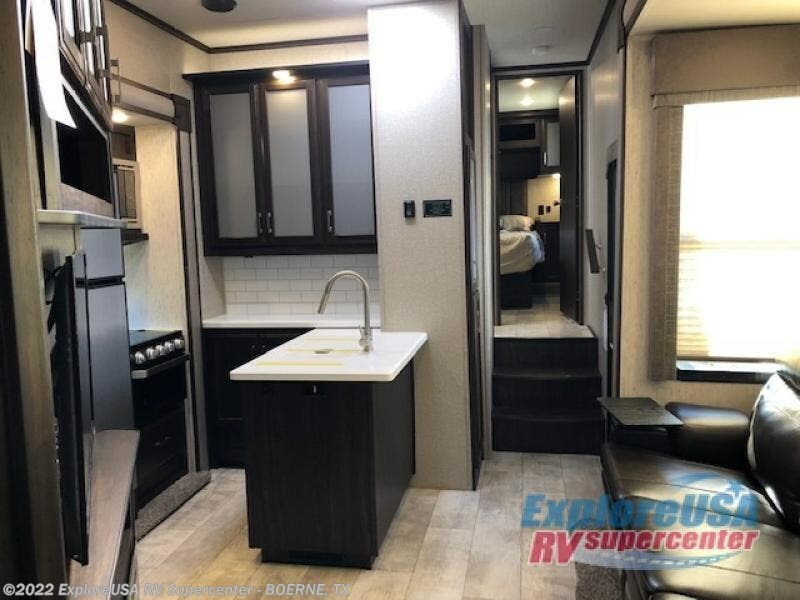 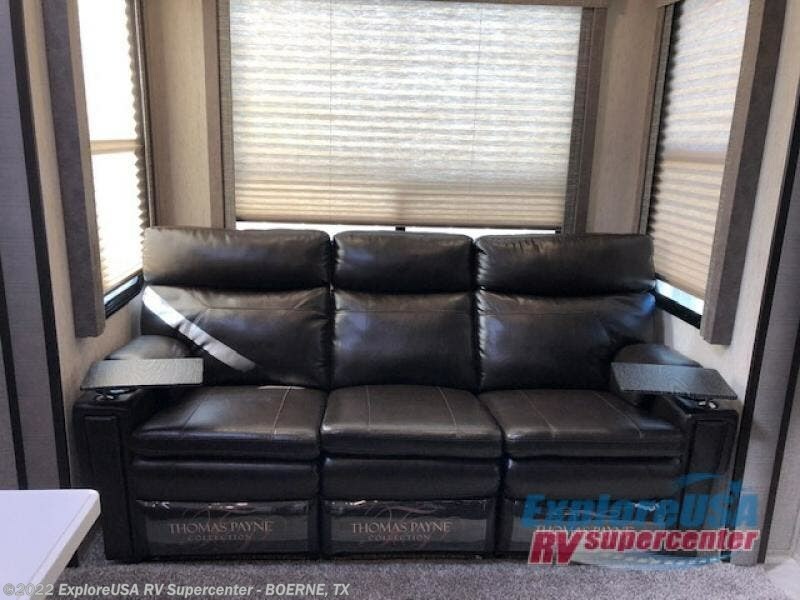 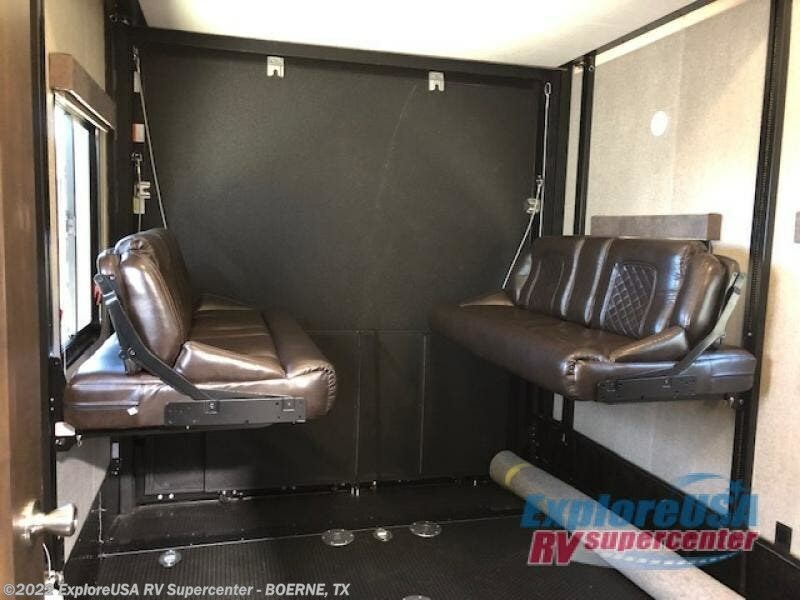 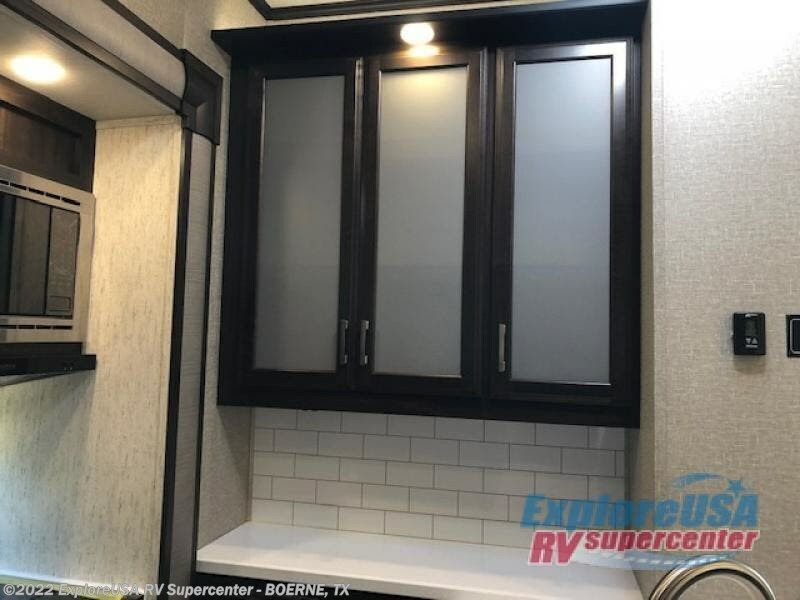 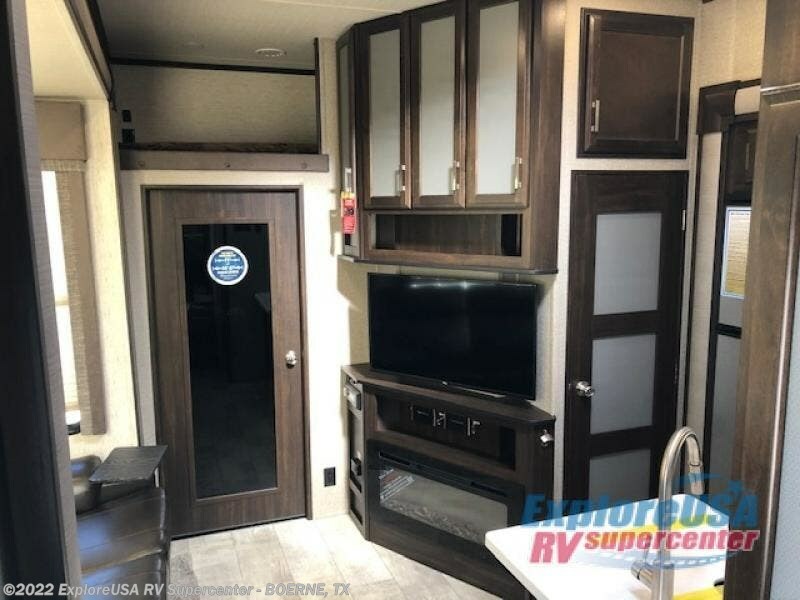 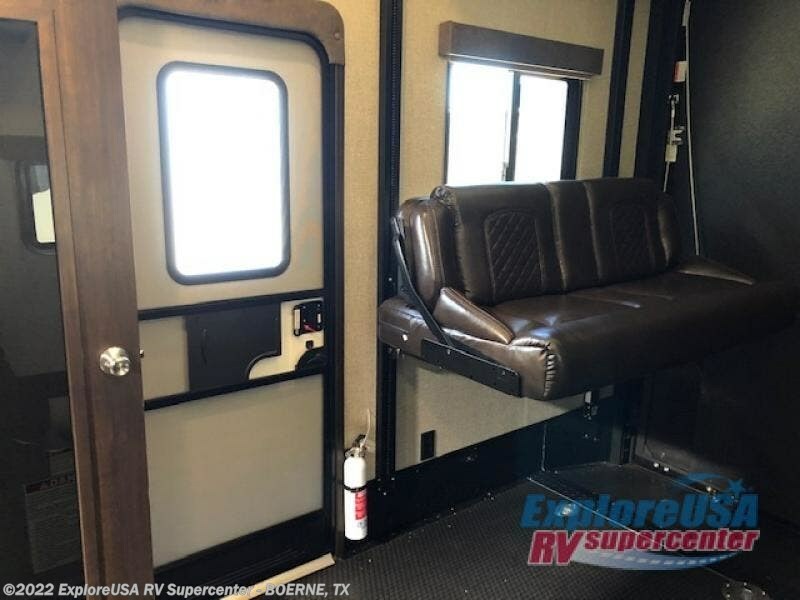 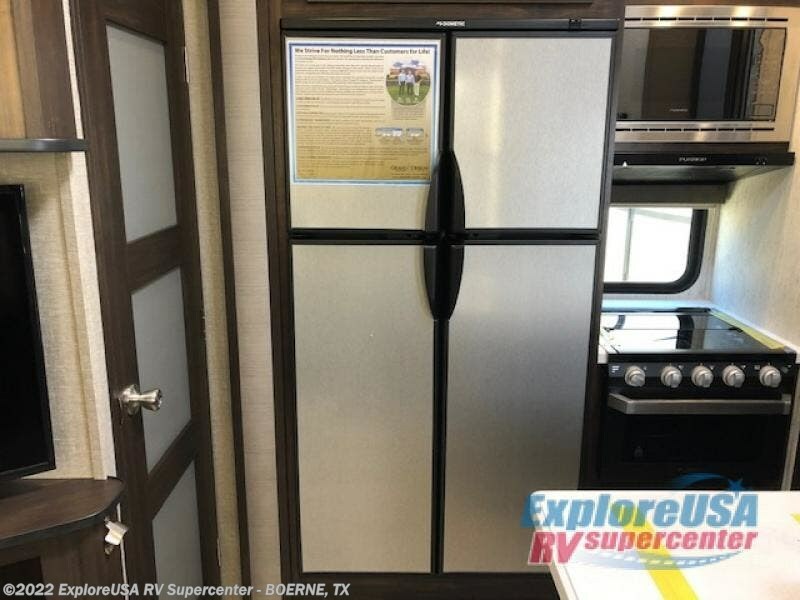 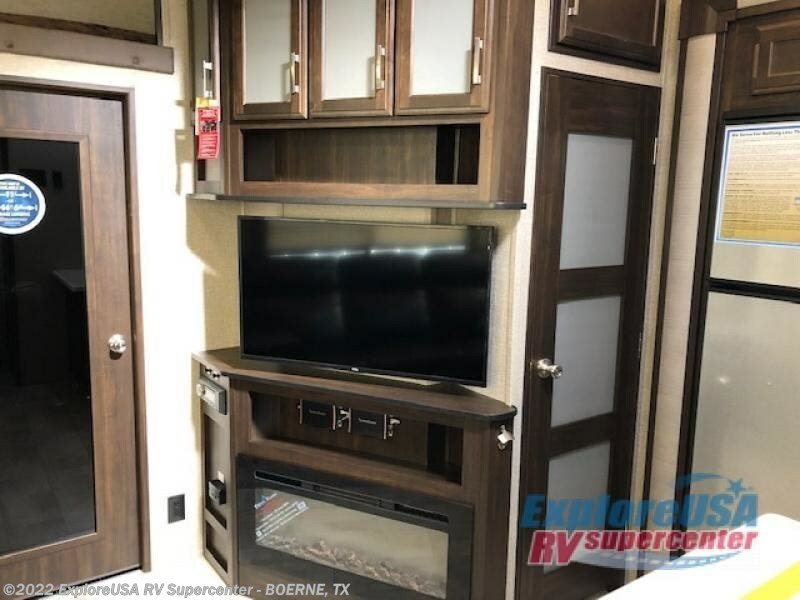 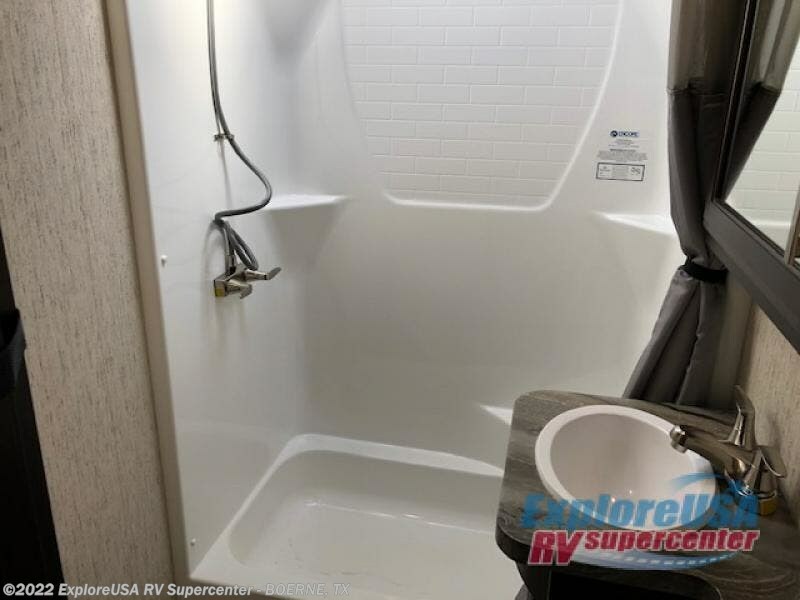 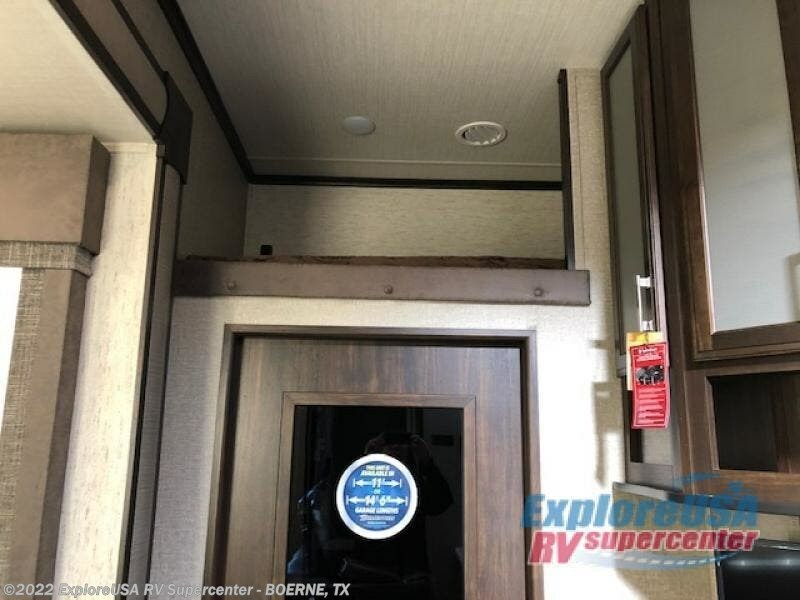 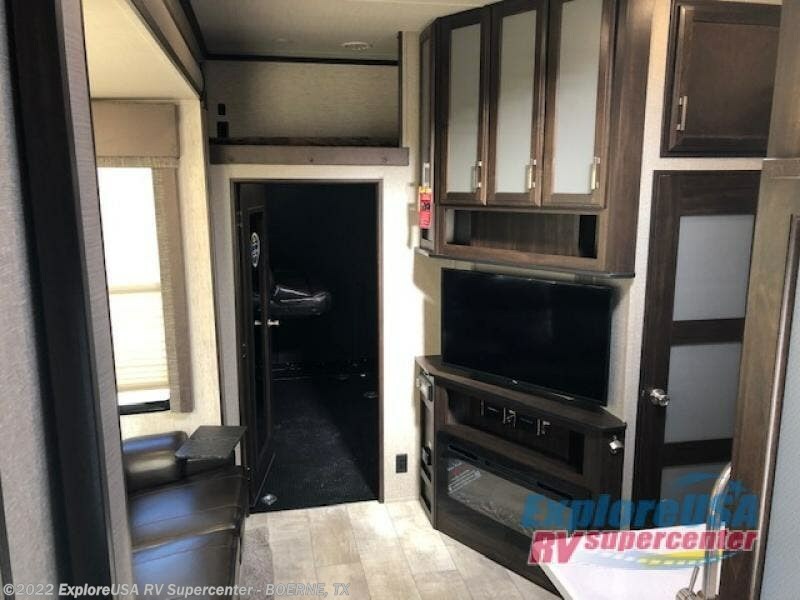 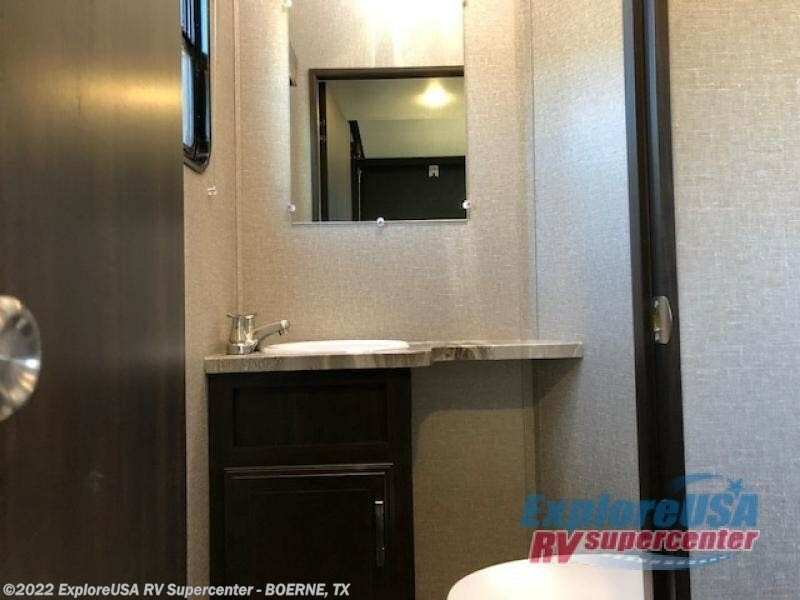 Once at your destination, unload your toys from a 11' separate garage that also includes a half bath, a side man door as well as a Happi-Jac electric bunk system with sofas and a table for dining. 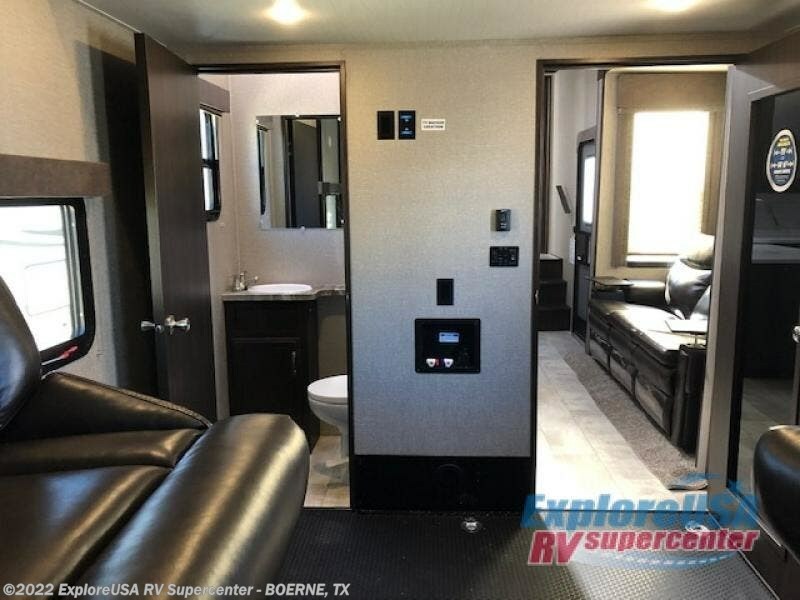 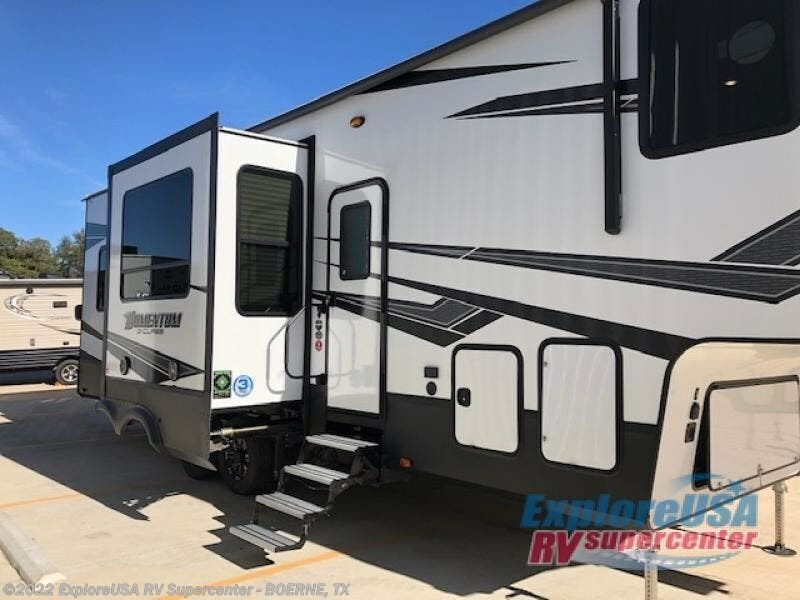 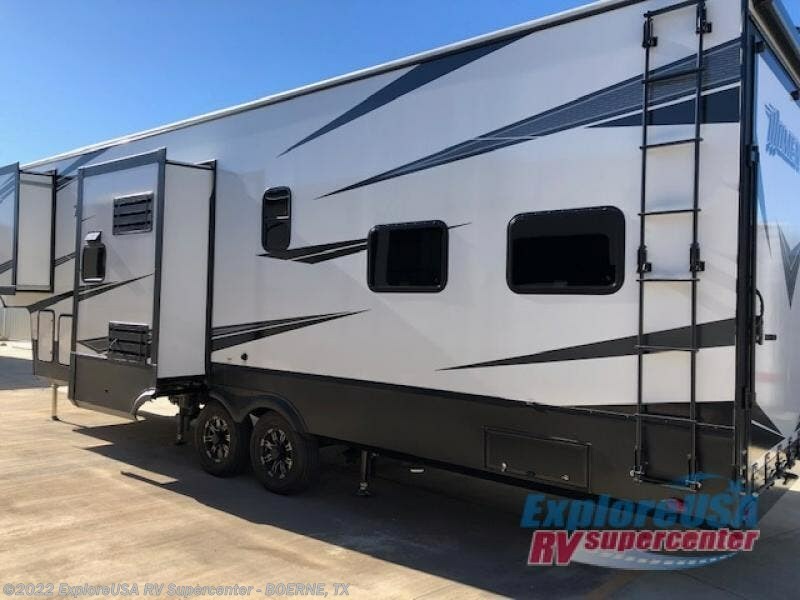 The rear ramp door can even be converted into a patio and includes a power awning for outside entertainment, plus there are Rockford Fosgate speakers to keep the party going! 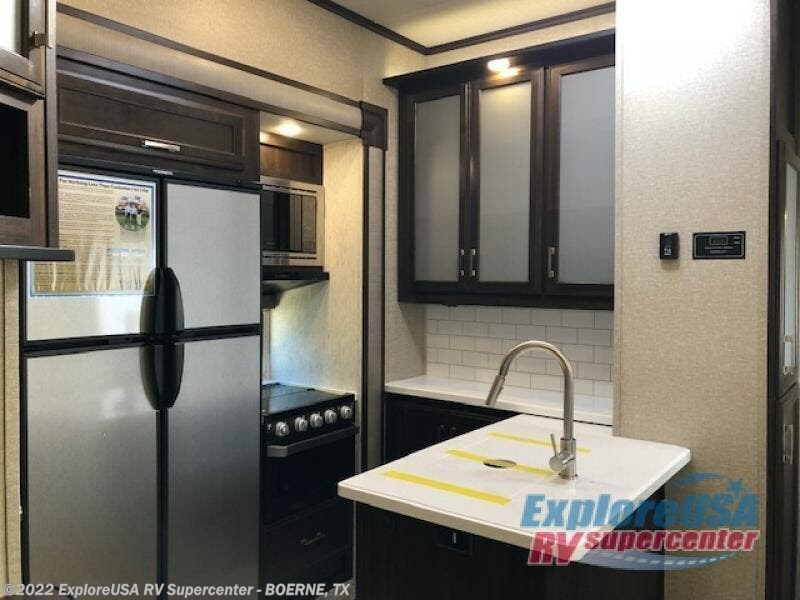 You will also appreciate the separate living area with a fireplace, theatre seating, and full kitchen amenities. 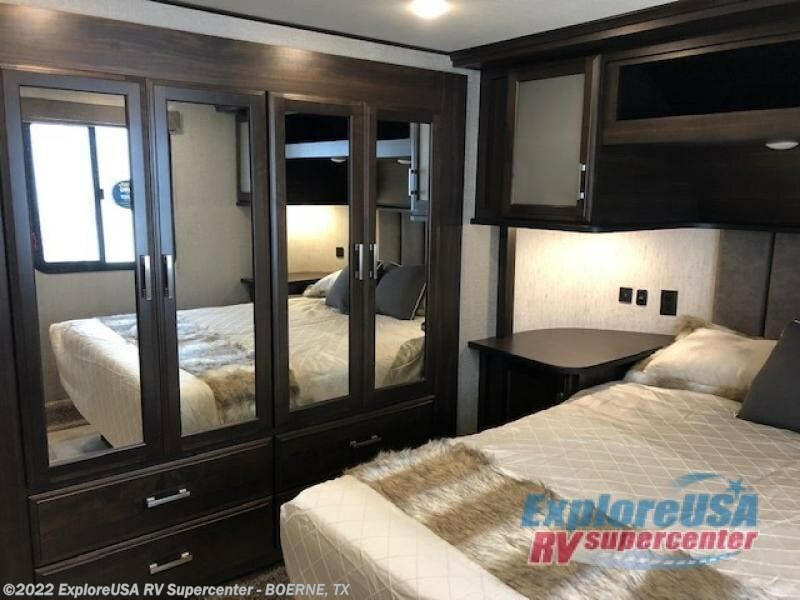 The front bedroom offers an escape to rest and relax for the next ride. 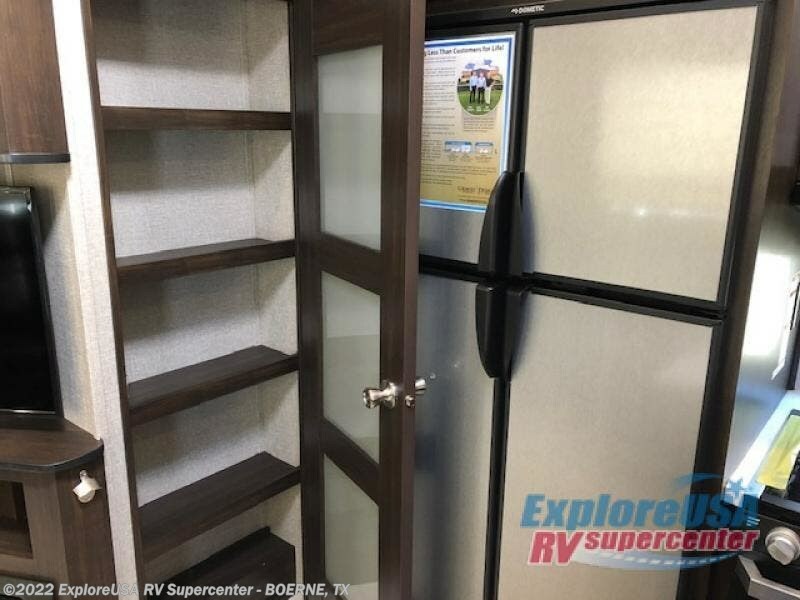 Take a look outside and inside, you will be sold! 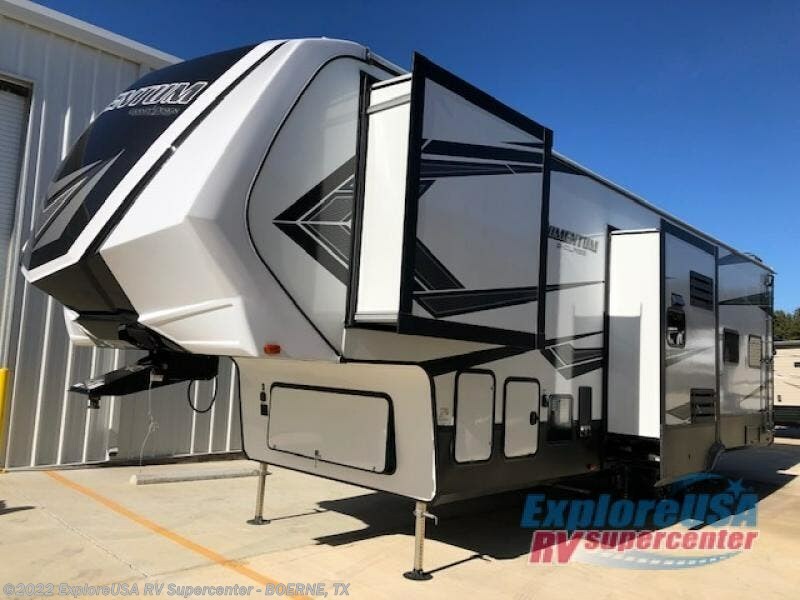 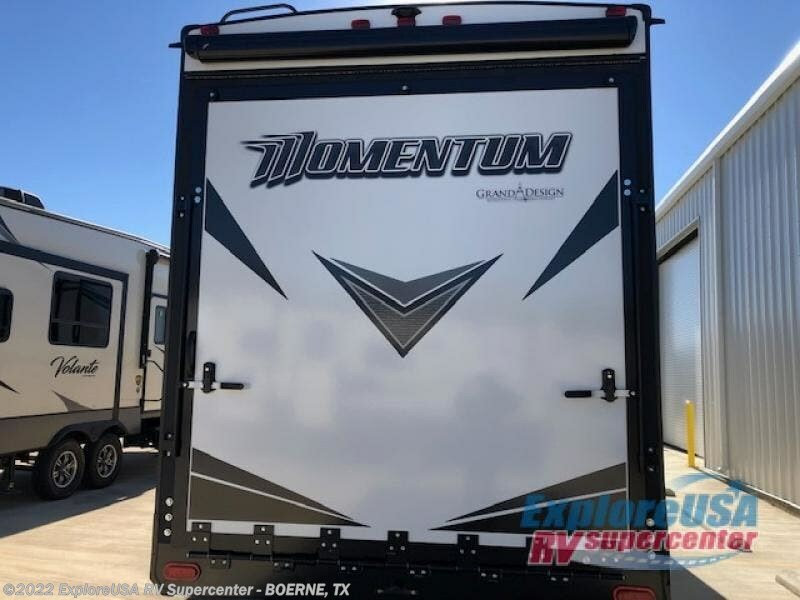 Looking for adventure and fun, this Momentum G-Class fifth wheel toy hauler by Grand Design will help you find it! 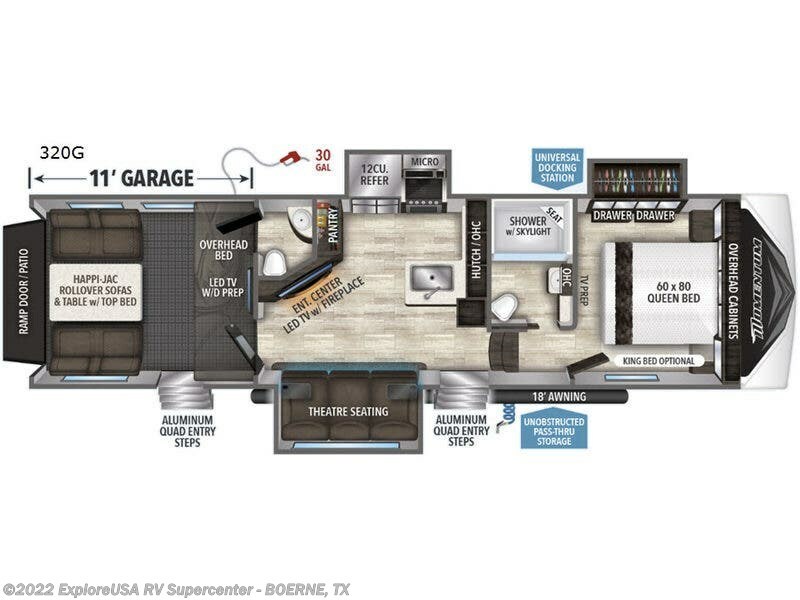 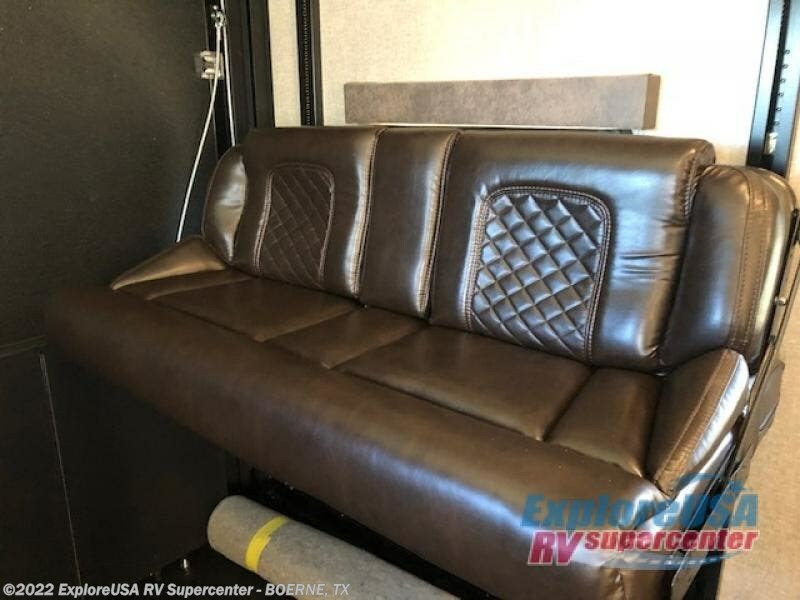 From the Rockford Fosgate speakers, the 30 gallon fuel station with fuel tank and pump, the dovetail back floor, the fully insulated garage, and the triple layer floor insulation, to the easy clean vinyl flooring throughout, and all the inside features, you can explore during any season you choose. 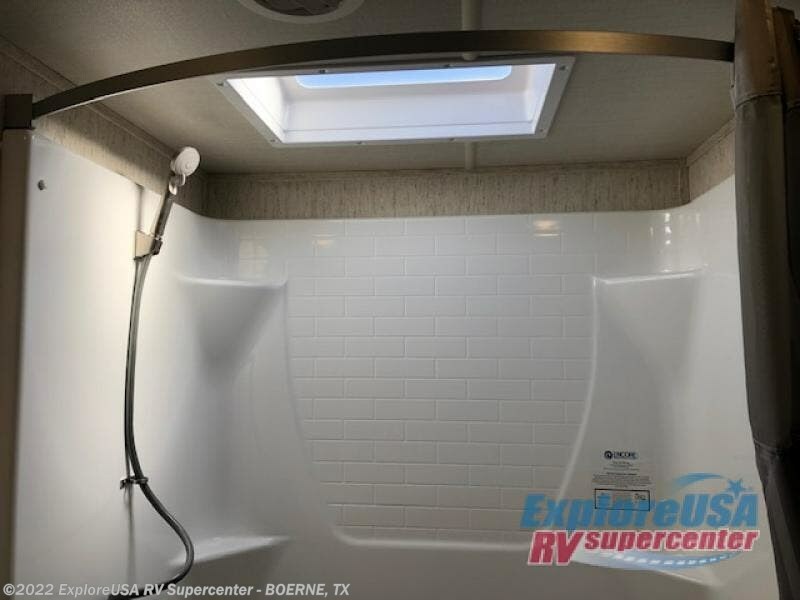 Take your favorite model off-road today! 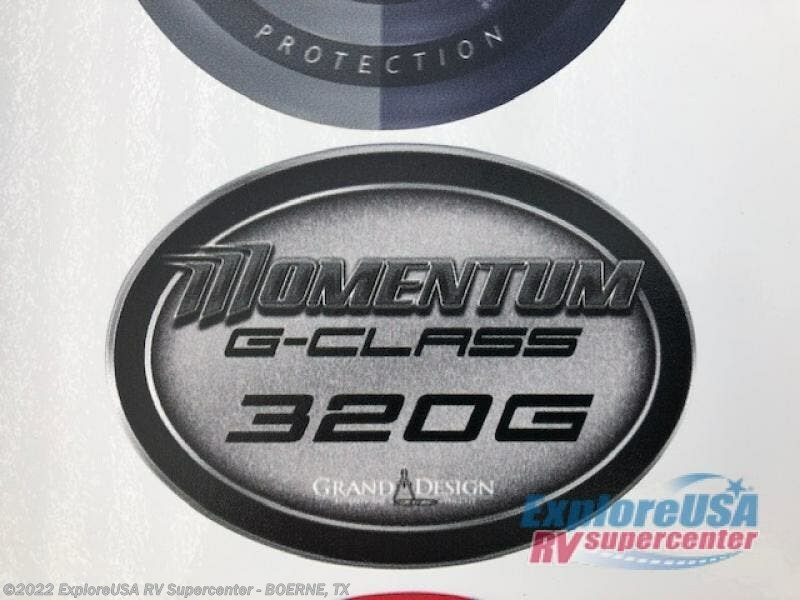 Check out Stock # B3108 - 2019 Grand Design Momentum G-Class 320G on granddesignsource.com!